As a professional wrestling fan, I’ve heard it all. And none of what they say is factually wrong — sports entertainment is a scripted event, just as much as any other reality TV show. The fights, interactions and results are all decided backstage by writers and producers before the events even start. And yes, the attire and costumes they wear to the ring are often overkill, as are the elaborate entrances. But that’s not the point. Professional wrestling isn’t a blood sport like the Ultimate Fighting Championship or Mixed Martial Arts, where people pay to see other people legitimately hurt each other until referee stoppage. It’s meant to tell a story, where every performer has their own storyline that twists and turns as they seek their ultimate goal. All the extravagant details — costumes, entrances, speeches and the like — are meant to make each character unique in their own right, and spur a reaction from the audience. The performers’ moves — flips, suplexes, throws, and so on — aren’t meant to do physical harm, but instead showcase their athletic capabilities. And at the end of the day, all of it comes together to entertain the audience to tell stories and make memories that will last a lifetime. So why watch WrestleMania — which, this year, will be held out of MetLife Stadium in New Jersey? It is the culmination of a year’s worth of work for these performers, and the climax of nearly every storyline in World Wrestling Entertainment. ’Mania, as many call it, is the final clash between characters, with championships, glory, and the chance for immortality all on the line. Perhaps the best example of this is the rivalry between the characters of Daniel Bryan and Kofi Kingston for the WWE World Heavyweight Championship. For Kingston, it’s a career-defining moment — his first one-on-one opportunity for a world championship. After eleven years, Kingston has done it all — capturing numerous accolades like the United States and Intercontinental Championships, and winning eight Tag Team Championships — except winning the big one. As a member of the popular group The New Day alongside Xavier Woods and Big E, Kingston focused the last few years on trying to accomplish tag team success. Over the last three years, Kingston did just that, winning tag team championships five times (twice on Monday Night Raw, and three times on SmackDown Live). As far as qualifications to be the challenger, Kingston is as good as anyone. Escaping three consecutive pay-per-views with the championship through cheap finishes, Bryan has been the epitome of the self-deluded champion, portraying himself as the virtuous spirit while showing the exact opposite through his actions. One of the biggest parts of Bryan’s change has been the addition of Rowan, his enforcer. Instead of fighting his own battles, Bryan has repeatedly sent out Rowan to lay out his opponents before his matches or confrontations. Meanwhile, Kingston has done the opposite — beating every challenger in his path, and overcoming every obstacle that Bryan has thrown at him. This story, though, finds an interesting parallel with another storyline — Bryan’s own championship pursuit in 2014. At the time, Bryan was chasing Randy Orton for the title, as the latter continued to defeat his opponents through outside interference. Nearly every aspect is the same —- a fan favorite yearning for the chance at the title, while a self-deluded champion continuously escapes through conniving. But will Kingston follow in Bryan’s success and finally topple the champion, or will he fail once again and squander what might be his last opportunity? At the same time, this year’s WrestleMania is also a celebration of the changes that wrestling has undergone since the debut of the event. The Women’s Tag Team Titles, titles never before created in WWE, will be defended at ’Mania — a long way from the initial status of women’s wrestling, when they were often considered the “bathroom break match” or left off the pay-per-view entirely. In an even greater signal of change, the headlining match of the event is scheduled to be a Women’s Championship Match, featuring former UFC star Ronda Rousey, fan favorite Becky Lynch, and Lynch’s best-friend-turned-archenemy Charlotte Flair. Rousey, who left the UFC to join the WWE in 2018, captured the Raw Women’s Championship last summer, holding the title since. Lynch, by contrast, was suffering a string of defeats despite her best efforts, before undergoing a character change into a trash-talking brawler, which re-galvanized her fans’ support and earned her a string of victories. And finally, Flair epitomizes the villainous character, attacking both Rousey and Lynch, before forcing her way into the championship match through management. Prior to this, WWE had been steadily building the status of women in wrestling —- implementing womens’ counterparts to famous match types (the Royal Rumble and Elimination Chamber, to name a few), and an all-women’s’ pay-per-view last year. But in the history of WrestleMania, women had never competed in the main event — until now. In addition, the matches and titles signal a changing of the guard, and the ushering in of a new era of the WWE. Kurt Angle and Triple H, two centerpieces of WWE during the early 2000s, have indicated that WrestleMania will be their curtain call. Angle announced two weeks ago that WrestleMania would be his final match, while Triple H has claimed he will retire if he cannot defeat his opponent, Batista. Meanwhile, both men’s world championship challengers represent the young, hopeful faces of the WWE —- hoping to finally seize the spotlight and lead the industry into the future. It’s finally here — WrestleMania. 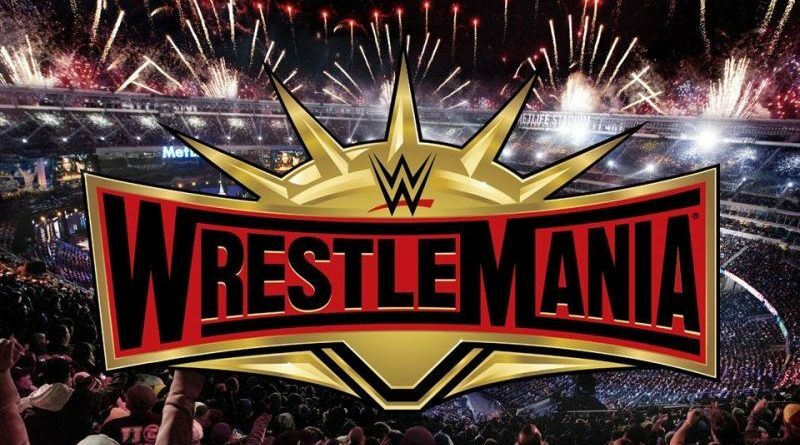 If you want to find out how these storylines finally end, want to watch jaw-dropping athletic feats, or simply want to celebrate the progress sports entertainment has made, tune into WrestleMania 35 on April 7.